Charlotte started her career as an intern with various different charities including Save the Children and IntoUniversity where she supported young adults at school to think about life after school and their options. 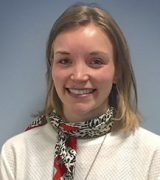 After a stint in Berlin with Save the Children (and a chance to practice her language skills), Charlotte worked with Volunteering England, assisting directors, the grants team and the volunteer centre quality accreditation scheme. Through this role she lead on Volunteers’ Week and trained as an assessor for Investing in Volunteers. Charlotte spent her volunteer hours at Headway, a charity supporting adults with brain injuries. After travelling to Central and South America, Charlotte returned home to work in health and social care, managing a team of six support workers in a house of adults with learning difficulties. Charlotte looks forward to expanding her knowledge of grants with Ormiston Trust and working with the projects and academies that the Trust supports.